Yolanda Lara grew up in south Texas but moved to Austin in 1991. 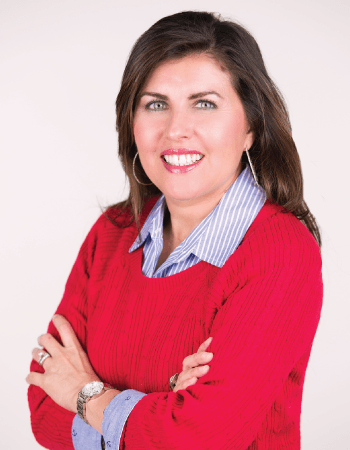 Bilingual in Spanish and a Realtor since 2002 she takes pride in her work. With market knowledge she is an expert in negotiating your real estate transaction. Whether it’s buying your first home or selling the home you have, she is with you every step of the way. Helping clients achieve the dream of home ownership and having a smooth real estate experience is her goal. Yolanda enjoys spending time with her family, cooking and entertaining. To whom it may concern: Yolanda has helped me very well when I had questions and concerns. She would explain every detail to me, and if she didn’t know the answer to my question, she would go out of her way to find me the correct answer to my question. Yolanda also had a wonderful service because as a person you feel comfortable and secure asking any type of question, that made me feel like family. Thank you so very much for helping. I would highly recommend Yolanda to my friends. Selling our first home was a stressful process. My wife and I were unsure about many of the aspects of the Austin housing market. Yolanda was there every step of the way from helping us prepare our home before we put it on the market, to preparing us for each showing and finally signing our closing documents. Yolanda was very reliable and attentive to our needs whenever we needed her. Whether someone is looking to buy or sell in the Austin area, we would highly recommend having Yolanda by your side. We will definitely be using her again. Working with Yolanda on the selling of my home and the purchase of a new home was great. She is very knowledgeable, approachable, personable, endlessly patient, and incredibly generous with her time (including mornings, evenings, and weekends) through this whole process. She answered every question and explained every part of the process clearly and thoroughly. Buying and selling a home in this market is challenging, but working with Yolanda made it straightforward as possible. I highly recommend her. Yolanda was fantastic to work with. She professionally took care of every detail. She has incredible insight on how to make a house look it’s best. Her knowledge of home staging and use of a professional photographer really made a difference in the quickness and price of our sale. I would definitely work with Yolanda again! For a first time home buyer, and someone who was new to Austin, Yolanda couldn’t have made the process of buying a home any easier. From start to finish she was extremely helpful, and made sure I knew what was going on every step of the way. My realtor Yolanda Lara is awesome! She made me feel at ease when buying my first home. She was responsive to all my needs and questions I had, always answering her phone and and following thru on everything she said. She is top notch when it comes to real estate. I highly recommend her because she gets the job done! While trying to purchase our first home after renting for so many years we were referred to Yolanda Lara. She is knowledgeable about today’s market and very detailed oriented. It was obvious to us that she has worked in this field many years and knows how to get the ball rolling. Once we started working with her she knew what to do, where to go, answered all our questions and helped in every way to make our home buying experience a great one. If you need an agent in the Austin area, she is the one to call. When I decided to sell my condo and buy a new home I turned to Yolanda. She was able to help me sell my condo for the most money and help with buying a new home. She help tremendously with coordinating the closing date on my condo to the closing date on my new home so that I would not have to move twice. This made selling and buying a home so much easier. Call her today, you will be glad you did. Yolanda was very helpful in helping us purchase a new home. She walked us through All Phases of the home-buying process. Getting into our new home was made a lot easier by Yolanda, we really appreciate all her help. She will continue to be our realtor when we sell and buy again. Thank you very much. Yolanda was the best realtor I have worked with. My wife and I have purchased 3 homes, sold 2 and rented 2 others, all of which we used different realtors for. Yolanda listened to everything we asked for and found us the perfect home that included exactly what we were looking for. I would highly recommend her for any of your home finding needs. I highly recommend Yolanda Lara as your realtor. From my experience in buying my place, she was prompt in attendance during the buying and closing process. During the buying process, Yolanda made sure that I had the knowledge of the process which I appreciated very much. The closing took a lot of time as the mortgage processor was finishing up last minute paperwork, but she stayed with me throughout the closing process. If you are looking to buy, I highly recommend Yolanda.